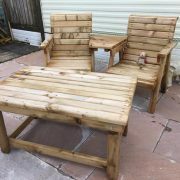 Free delivery and fitting for orders within a 20 mile radius of Swansea. 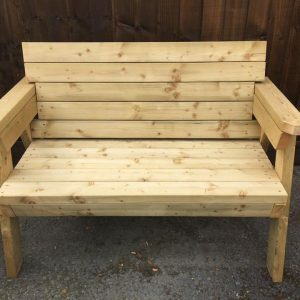 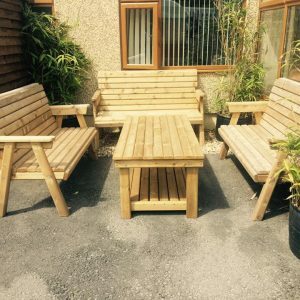 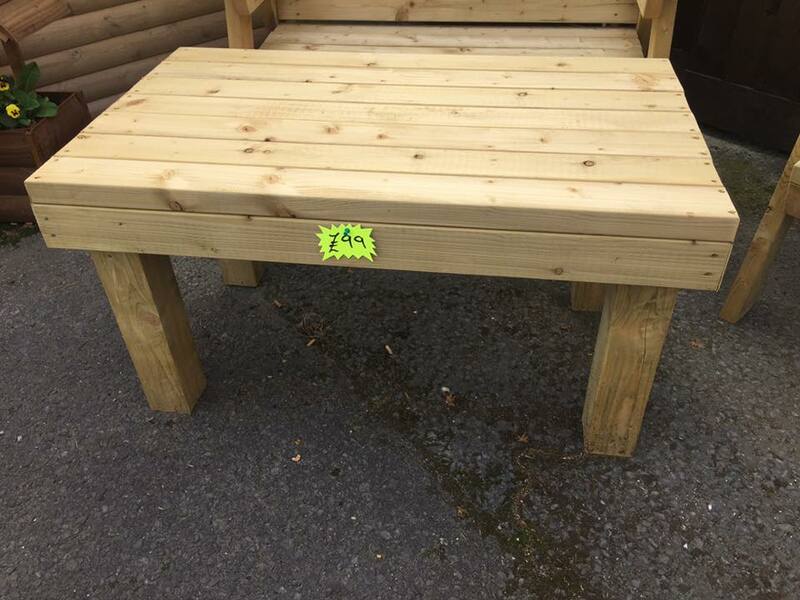 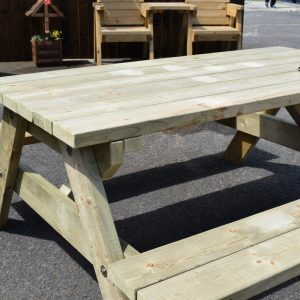 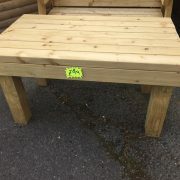 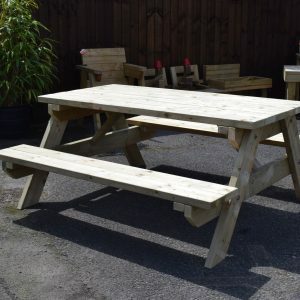 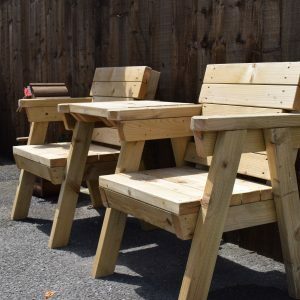 Relax and enjoy your garden with our solid wood 2 seater table! 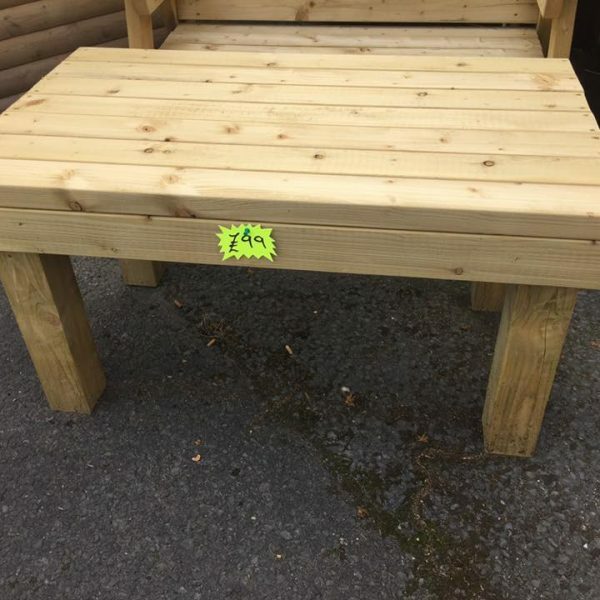 Perfect for that glass of wine! 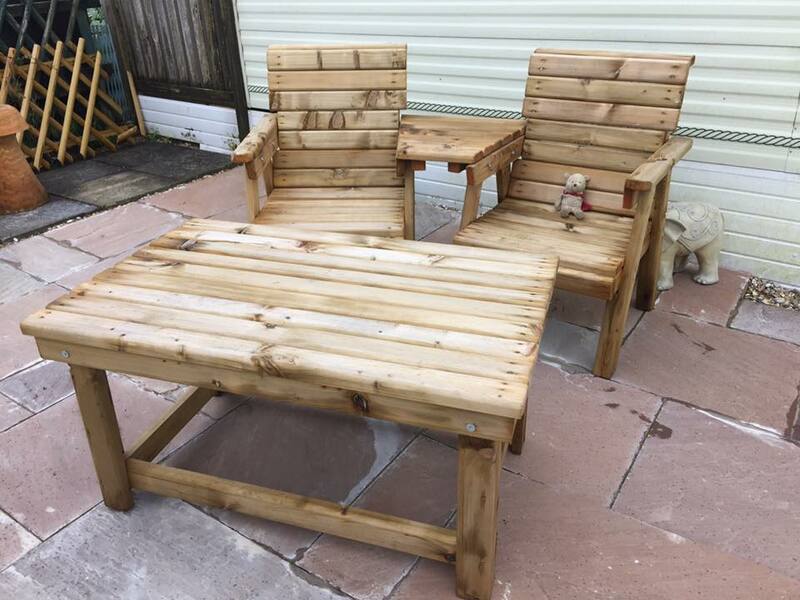 Made with heavy duty 4″x 2″ treated timber.